So what can you do to ease some of the worry that comes with the very distinct possibility of getting ill while in motion? Why Do I Get Seasickness? 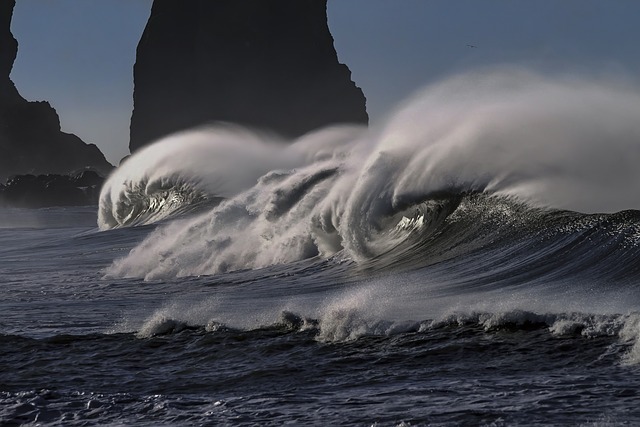 First, it’s helpful to know exactly WHY your body is reacting so violently to the waves. Much can be blamed on the inner ear. This area – along with the eyes and sensory nerves – controls the body’s balance-sensing systems. When the body experiences repeated motions, like rolling on ocean swells or bumpy amusement park rides, the inner ear can’t adapt and tries to adjust to the conflicting inputs. This adjustment manifests as dizziness, cold sweats, drowsiness and uncontrollable nausea – definitely not the most fun way to spend a day on the water far from shore. An interesting fact about seasickness is that it rarely affects infants and toddlers; and adults over the age of 50 become less susceptible to motion-related sickness as they age. But for the rest of the population, avoiding and treating the issue is a big business. What can you do to fool the inner ear and other sensory systems? Trying to do close focus work, like reading or typing on a computer, often makes motion sickness feel much worse. Look up and use distractions such as music, controlled breathing or aromatherapy oils to take your mind away from the discomfort as much as possible. For mild cases of seasickness, simply focusing on the horizon in the direction you’re traveling may be all that’s necessary. By staring straight ahead, your eyes are allowed to sense forward movement that tends to overcome the rocking and rolling side-to-side motions to which your inner ear can’t adjust. Eyes tell the inner ear and brain that this motion is okay. This also works in a moving car, which is why many who experience carsickness feel much better when they can sit in the front seat and look forward. But what if you’re on a week-long cruise and always facing toward the horizon just isn’t something feasible? How can anyone attempt to conquer the chocolate buffet and stare toward the horizon at the same time? It can’t be done. Now is the time to pull out what works! (OTC) is over-the-counter or available without a doctor’s prescription (RX). If you don’t have prescription insurance or it doesn’t cover travel medicines, consider the Travel Pharmacist Prescription Discount Card – it’s free and can save you quite a bit of money! SeaBand (OTC). With no side effects and drug-free, these washable and reusable soft wrist wraps are often a first-line for sufferers. Within the wrap is a hard plastic knob that is placed on the wrist directly over the Nei-Kuan (P6) point. By gently pressing the knob on the acupressure point, nausea signals to the brain are disrupted. Directions are simple…Place your middle three fingers on the inside of your wrist with the edge of the third finger on the wrist crease. The Nei-Kuan point is just under the edge of your index finger between the two central tendons. Position the button facing downward over the Nei-Kuan point and repeat on the other arm. Both bands should be worn and must be positioned correctly. SeaBands are also shown to be effective for nausea caused by chemotherapy, anesthesia, and morning sickness. Ginger (OTC) – If conventional nausea control medications can’t be tolerated or a natural option is desired, ginger is an alternative. Available as chewing gum, candy, drinks, or tablet/capsule form – ginger has been used to treat nausea for centuries. It doesn’t work for everyone and shouldn’t be taken with blood thinners, but especially for milder cases of motion sickness, ginger can be a safe and effective treatment option. Antihistamines (OTC) – Bonine (meclizine or cyclizine) and Dramamine (dimenhydrinate) are both familiar stand-bys in the motion sickness department. Available without a prescription, these are classified as long-acting antihistamines – the same type of medications you’ve taken for sinus stuffiness or a bad cold. Typically, these are effective if taken as directed and both have a “kid’s” dosage for the younger set to be used 1 hour before traveling or at the onset of symptoms as directed. Unfortunately, you may find drowsiness as a side effect with both of these medications. Scopolamine (RX) – The motion sickness patch that really works! 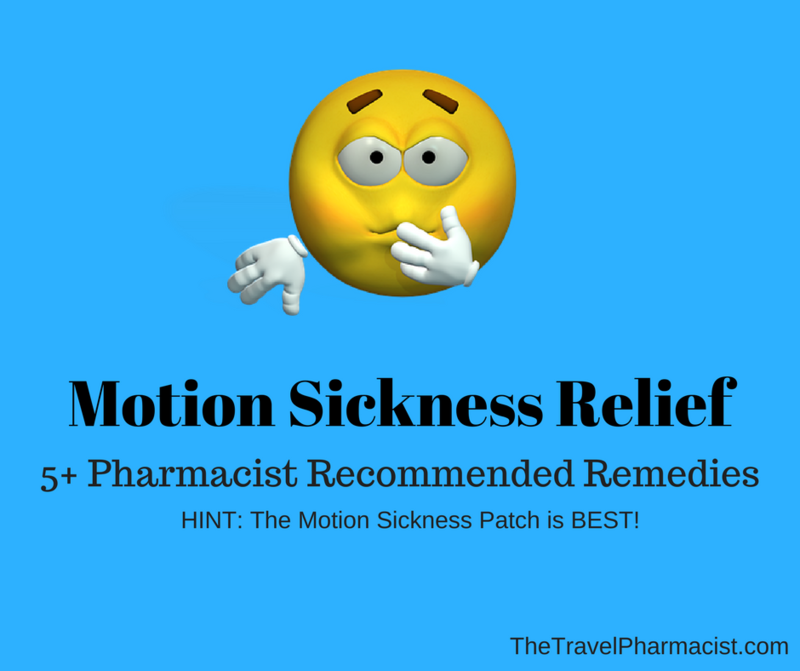 If you are truly worried about a vacation being ruined by getting seasick, a visit to the doctor to get a prescription for scopolamine transdermal (the motion sickness patch) may be appropriate. Scopolamine transdermal, which is most commonly prescribed as a small patch to be placed behind one ear, should be put on at least 4 hours prior to exposure to motion and then is worn for up to 3 days. After 3 days, remove the motion sickness patch and place another one behind the other ear. The short list of side effects for scopolamine may be dry mouth, drowsiness, blurry vision and sensitivity to bright light. You should avoid alcohol while wearing the patch. Promethazine (RX) – For those few individuals who are allergic to the scopolamine motion sickness patch, this anti-nausea medicine is also known by the brand name Phenergan and will require a doctor’s prescription. Promethazine works to treat and prevent motion sickness by blocking certain natural substances in the body from the brain. It shouldn’t be used in children under the age of two and with caution in older children because of breathing issues. The normal dose is 25mg twice daily, taken 30 to 60 minutes before it’s needed and may cause you to feel sleepy and groggy. Best of luck beating seasickness wherever it might try to find you! Natural alternative ginger is very good. Thanks for the information. Previous PostPrevious Nutmeg – 5 Health Benefits And Tasty, Too!